Gregory Garcia, former chief information officer for the Army Corps of Engineers, has been named the service branch’s deputy CIO. In his new role, Garcia will help CIO Bruce Crawford supervise and assess the Army’s information technology and management activities, the service branch said Monday. 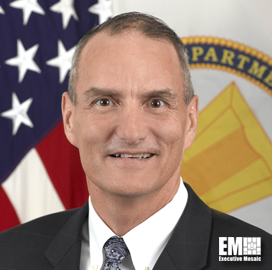 He holds years of civilian military experience, having served with the Army Information Technology Agency as executive director, in addition to his work with USACE. At U.S. Central Command, he supported the nation’s forces deployed in Iraq as deputy director of strategic communications and strategic effects. The deputy CIO is also part of the Senior Executive Service, and has held a senior cyber advisory role supporting the secretary of the Air Force.